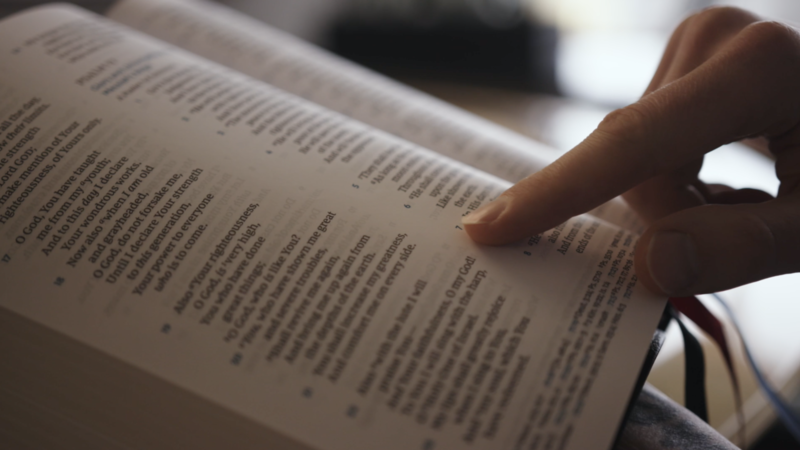 While it might not be something that most of us in the pews realize, there are specific layout and formatting needs in a Bible that can really help a pastor with sermon delivery. 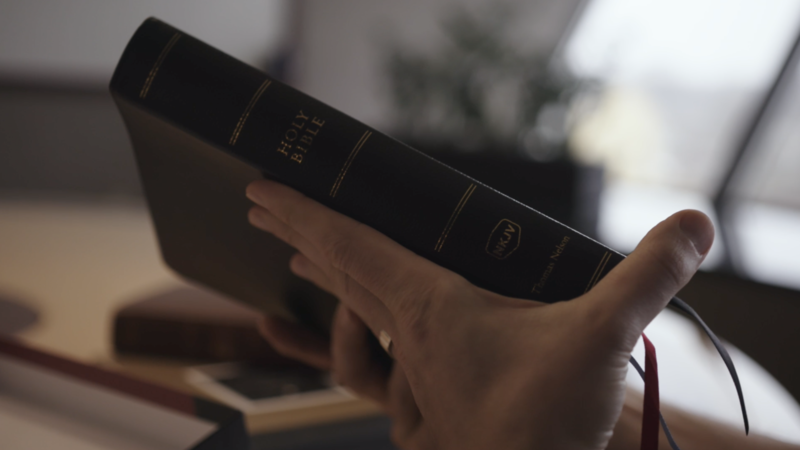 Why did we design the Preaching Bible? References and the biblical text must be easy to locate. The paper quality and line-matching must be optimal for reading. Even the weight and flexibility of the bindings can play a huge role in presentation. Having the right Bible in the pulpit each week is a big deal. 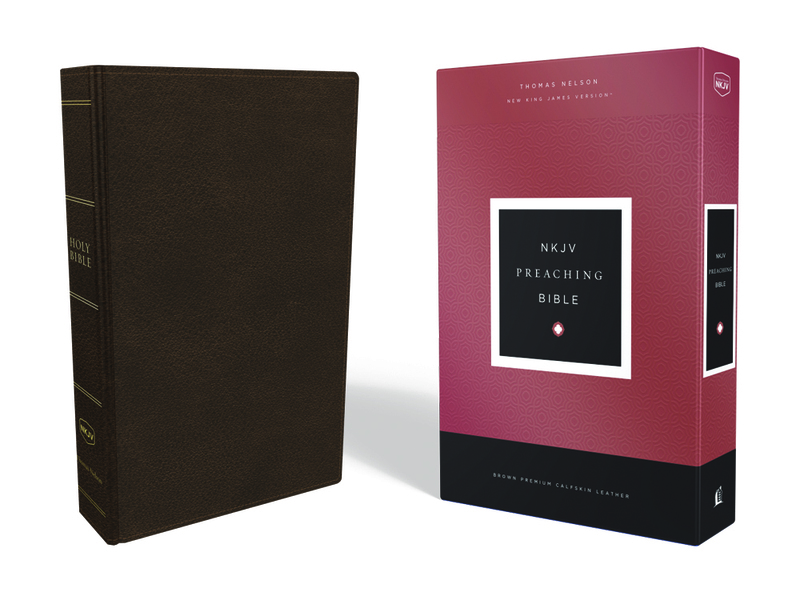 Every detail of Thomas Nelson’s Preaching Bible is tailor-made with preaching in mind. 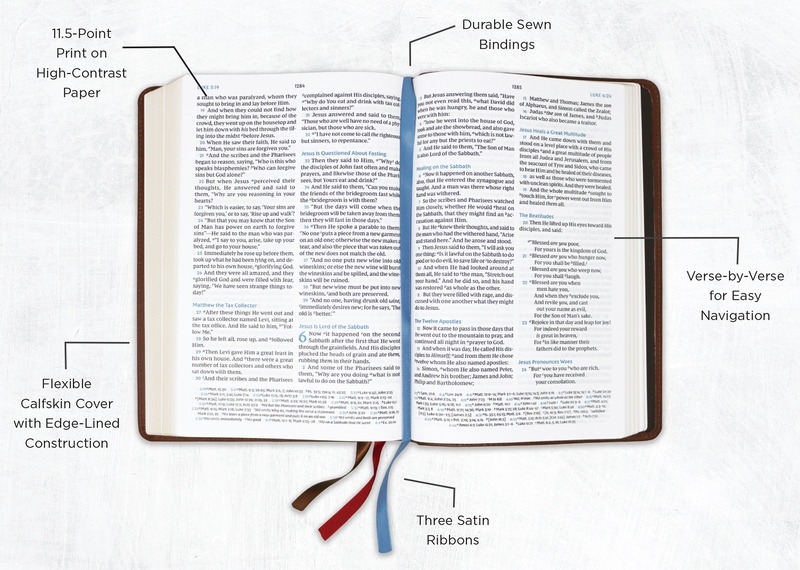 With features crowdsourced from actual pastors, a flexible calfskin cover, and elegant layout, this Bible is the ideal choice for those who have been called to the sacred task of preaching the Word. What Are People Saying About the Preaching Bible? Check out the feedback from actual customers! “The paper is superb and the 11.5 font is perfect for this kind of Bible. It’s well made with the Smythe binding, and the calfskin has the right thickness. It’s my everyday Bible and what I use in my preaching every Sunday. A home run for Nelson… Get this Bible, you won’t be disappointed.” – James H.
“Actually, this Sunday was the first Sunday I preached with the Preaching Bible, and as I suspected, the paper quality and size and readability of the font made it super easy.” – Mark T.
“Don’t let the name fool you… It is not just good for preachers but for teachers, expositors, and even lay people. The layout is superb for readability and finding verses. With it being line-matched on beautiful paper, I can assure you that you will be hard pressed to find a better Bible for your studies.” – Casey F.
“An awesome Bible with 11.5 font and great paper that is readable even in low light situations without straining the eyes. I’m not a preacher but it is now my bedside Bible to use when the eyes are at their weakest, when tired, or just waking up.” – Nikki B. “This is the verse by verse Bible that you have been looking for. Excellent paper, sewn binding, great leather, easy on the eyes, and the reference and notes are the bottom. If you want a Bible that will last you for years and years to come… the Preaching Bible is it! For Pastors, teachers or just a student of the Word, you can’t go wrong.” – Kevin G.
To learn more and download free page samples from the Preaching Bible, click here. I Just gave my N.A.S.B to my daughter and have been praying much for my next Bible. I have decided on the NKJV. Please consider me for this fine Bible. It will be put to good use. You can find PDF samples of pages at the site https://www.thomasnelsonbibles.com/preaching-bible/. This will show you the layout of the Preaching Bible’s pages for both the New and Old Testament in both NKJV and KJV. I would like to take a look at this. What’s the price since I’m on a fixed income. Hi! The price of the Preaching Bible might differ between various retailers. You can find them at Amazon, ChristianBook.com, FaithGateway.com, and Lifeway.com among other places… For more, visit https://www.thomasnelsonbibles.com/preaching-bible/. I would appreciate a King James Bible. It would be used regularly. While this sounds like a great asset, are their future plans for other versions than KJV and NKJV? At this time, there isn’t a plan for other translations. I’ll let our editorial team know about the idea. The cost of the KJV Preaching Bible can differ between various retailers. The best thing to do is call you local Christian bookstore or check online. Below are links to Amazon. How do I receive this Bible? You can find the Preaching Bible at most Christian bookstores and online at sites like Amazon, FaithGateway.com, and ChristianBook.com. Do you guys offer scholarships or donate biblea or heavily discount for Pastors or ministers? Or seeking anyone to do product reviews with the possiblity of promoting your product? Feel free to call our customer service line at 800-727-3480 with this question. Or email HCCPcustomerservice@harpercollins.com. Wished it was red lettered as well. I love to study, read and research through the Holy Bible. My Birthday was on February 9th. I would love to have 2 NKJV Black Clafskin, one for me and one to give as a gift. It looks really cool. I also like to share/ teach and preach the word of God everywhere I go. Thinking of searching for a new Bible. I’m a pastor but need large print and prefer red letter addition. Is this Bible something that would fit my needs. KJV Does Lifeway or Mardels have this in stores to look at? Hi Jim. The Preaching Bible has a 11.5-point print size which is avg for large print Bibles. It is not red letter. Most Christian retail bookstores carry both the NKJV and KJV Preaching Bible. It would be best to call your local Lifeway and Mardel. You can also find the Preaching Bible at Amazon and ChristianBook.com. Entering into the ministry and would love to review and use a NKJV in this bible . The Preaching Bibles have a suggested retail price of $139.99. Many retailers often reduce that price. Best thing to do is call your local Christian bookstore or check with online retailers such as Amazon, ChristianBooks.com, FaithGateway.com, Lifeway.com and many others. The Preaching Bible is available in the KJV and NKJV only at the moment. How can I get a copy of this bible? Hi. You can find the Preaching Bible at most Christian bookstores and online at places like Amazon, FaithGateway.com, ChristianBook.com, and LifeWay.com. Will it come in the WEB of NLT? As of now, there isn’t a plan for the Preaching Bible to be released in the NLT or WEB translations.